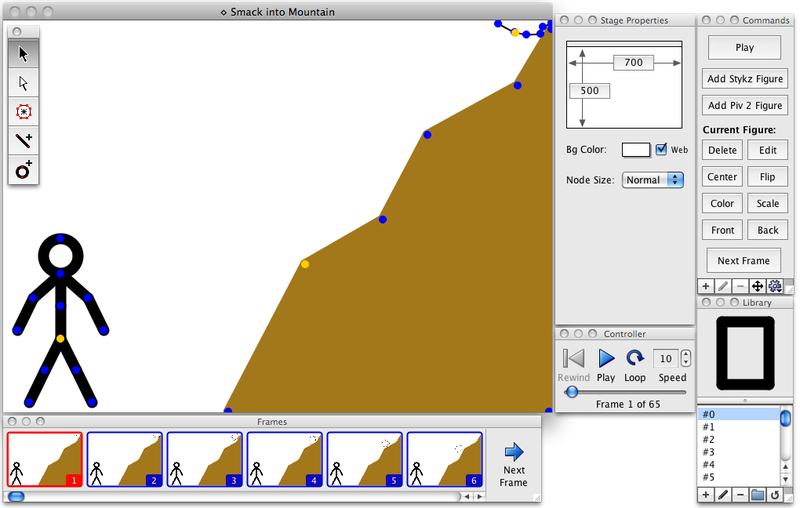 If you've ever used Pivot StickFigure Animator, you'll feel right at home working with Stykz. It was designed to be a superset of Pivot's feature set, so we know you'll appreciate the similarities to Pivot as well as the extra features that Stykz has to offer! Stykz also imports Pivot 2 and Pivot 3 Beta .stk files, so you can use your existing .stk files you created, or download one from web sites like Droidz.org or DarkDemon.org. For more information about how Stykz compares with Pivot, check out the comparison page.